The University of Edinburgh is one of the most diverse and cosmopolitan universities in the UK. It has students from approximately 137 countries in the world who account for around 25% of our student population. The School of Engineering is represented by many different nationalities and cultures who all work and study together at both undergraduate and postgraduate level. This is shown by the number of institutes who partner the School from across the world, from China to Germany, the USA to Italy. Studying at the School of Engineering allows you to work with our academics who make these personal links and to benefit from them. The School of Engineering welcomes applications to study an undergraduate degree from all international students through UCAS. The School also has specific admissions programmes for certain undergraduate international students; these are our 2+2 Programme and the Ameson Chinese Elite Programme. There is also a Study Abroad Programme which allows students to study for single semester, or single year as a visitor from an international university. International students wishing to study Postgraduate Degrees can apply for their chosen programme through the university website. Simply select your chosen degree from the list of available programmes then click on the 'Apply' button on the programme page. 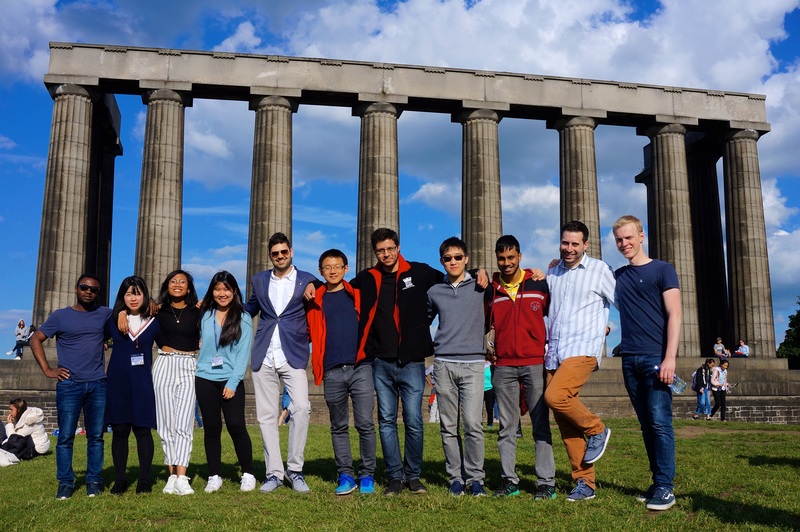 The University's student association EUSA runs an award winning project, EUSA Global which is designed to promote student involvement in internationalisation at the University of Edinburgh. The project helps run schemes like peer proof reading, an international buddy scheme to help you settle in and various social events. Moving to another country can be daunting, whether it's coming from Europe, or from much further away. Below are several links which can help you make this decision and ease the move. 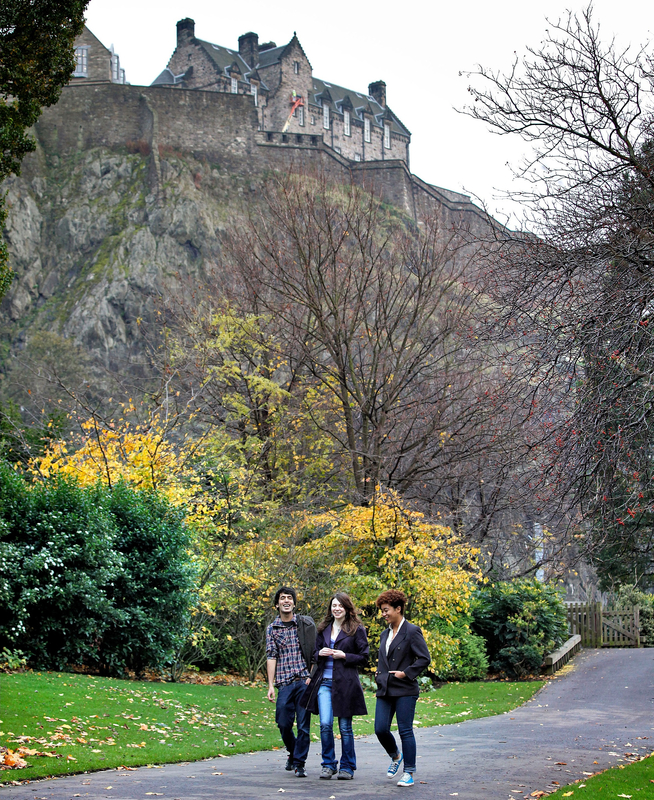 There is also more information about studying in Edinburgh in our Why Edinburgh section. An alternative application route that applies only to applicants from the Peoples' Republic of China for entry to study any undergraduate degree subject offered at The University of Edinburgh is through a scheme organised for Edinburgh by the Ameson Foundation in China (aceis.ameson.org). This route is applicable for all degree programmes offered by the School of Engineering. Under this scheme prospective applicants must be nominated by their schools and will be required to take written tests in Mathematics and English at centres in China. The results of these tests, and other examinations taken, will be used to pre- select applicants for interviews in China by Edinburgh interviewers. The Ameson Foundation China Office, 4th Floor, Jiangsu Provincial Educations and Scientific Research Building, 77 Beijing West Road, Nanjing 210013, China. The School of Engineering at The University of Edinburgh has an agreement with several Chinese universities which allows students to study engineering for two years in China and then transfer to The University of Edinburgh to complete a further two years of study. This is known as a "2+2" agreement. On successful completion of the 4th year at Edinburgh, the students graduate with a Bachelor of Engineering degree awarded by The University of Edinburgh. In some cases students can stay on for a further year of study and receive a MEng instead, this decision is made at the end of third year in conjunction with the student's director of study. What can I study at the University of Edinburgh? Study for 2 years in China and 2 years in Edinburgh, the best of both worlds! EUSA Global - an award winning project which is designed to promote student involvement in internationalisation at the University of Edinburgh. The project helps run schemes like peer proof reading, an international buddy scheme to help you settle in and various social events.